SKOWHEGAN — Whenever the need arises, Dr. Roger Renfrew grabs his doctor’s bag and heads out to make a house call. It’s the same small, leather satchel that Eli Lilly, the pharmaceutical company, gave to Renfrew when he graduated from medical school in 1970. Mended several times by shoe repairmen, it looks like a remnant of another era. 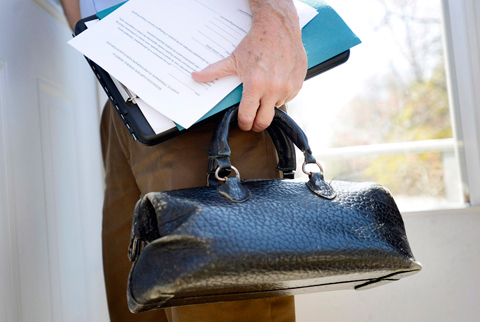 But the bag remains an active professional tool for Renfrew, one of a slowly growing number of physicians in Maine who are making house calls. Renfrew, who is a geriatrician, makes several house calls each month in the rural area around Redington-Fairview General Hospital in Skowhegan. He visits patients at home when they have great difficulty getting to his office or after they’ve been discharged from a hospital or rehabilitation facility. 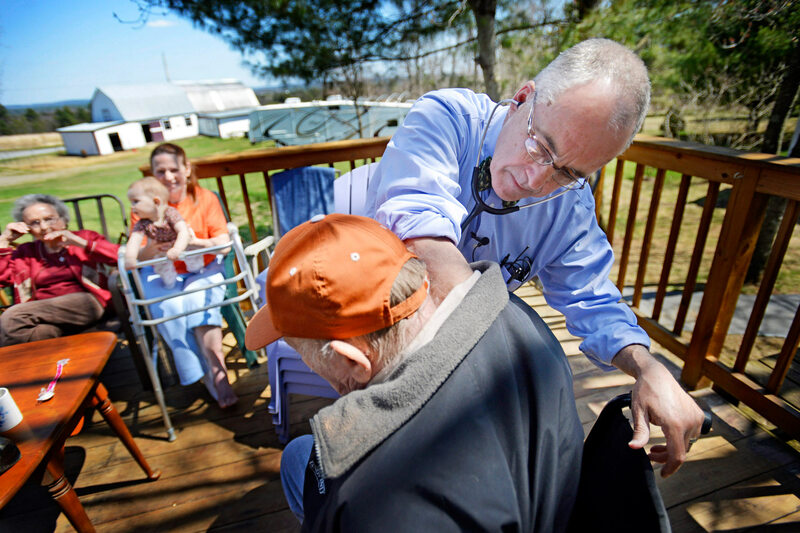 About 100 of Maine’s 4,000 physicians regularly make house calls, according to Gordon Smith, executive vice president of the Maine Medical Association. That number is slowly increasing as the state’s senior population grows and evidence mounts that home health care has advantages for both patients and providers. 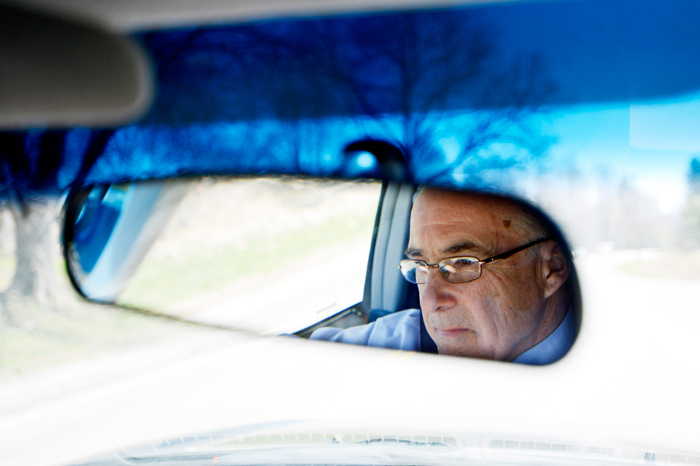 Dr. Roger Renfrew drives to a home visit in Skowhegan. More than 4,000 physicians in the United States make house calls, by some estimates, and Medicare pays for more than 2.6 million house calls annually, a number that has grown steadily since 2000, according to the Centers for Medicare & Medicaid Services and the American Academy of Home Care Medicine. Renfrew says his effort is partly voluntary, because Medicare doesn’t pay for the added time or travel costs that house calls require, though Medicare billing practices increasingly recognize the health and cost-saving benefits of home medical care that keeps people out of the hospital. There’s also greater patient satisfaction. Corinne Murray glows when Dr. Robert Anderson visits her at home in Cape Elizabeth. She appreciates his concern for her progress since they met two years ago, when she survived a ruptured abdominal aortic aneurysm during an emergency visit to Maine Medical Center. During a recent house call, Anderson asks Murray how she’s doing, checks her medications, learns about her daily routine. He pulls a dining room chair close to her recliner. They talk for a while, recalling highlights of her recovery. 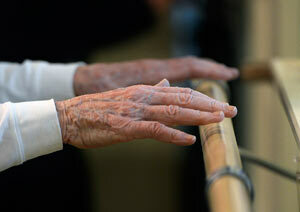 It means a lot to Murray, 87, a former nurse. “Dr. Anderson is wonderful,” she proclaims. Anderson is a professor of emergency and internal medicine at the Tufts University School of Medicine’s clinical program at Maine Med. Because he also has a geriatric specialty, Anderson took the job on the condition that he would be allowed to spend two days each week doing house calls with elderly patients who had visited the hospital’s emergency department. Now, other doctors are asking Anderson to check on their patients. 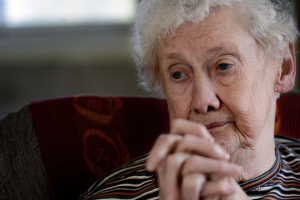 Anderson, who speaks publicly on various challenges facing older adults, often finds seniors having trouble managing their medications, for reasons ranging from cognitive issues to poor labeling on prescription bottles. Sometimes he finds them living in conditions that threaten their health and safety, with steep stairs, exposed electric cords and scatter rugs that could cause disastrous falls. Anderson usually suggests changes the seniors can make on the spot and follows up with further recommendations to their primary care providers. Dr. Lesley Fernow is one doctor in Maine who has built a practice making house calls. That’s not easy to do in this state. Dr. Roger Renfrew, with medical bag in hand, knocks on the door of a patient for a home visit in Skowhegan. To the right is Jane Park, a Dartmouth Medical School student who was working with Dr. Renfrew. In 2006, Fernow gave up a 30-year solo clinical practice in internal medicine and devoted herself almost exclusively to making house calls in her home community of Dover-Foxcroft, and in Norwalk, Conn. A specialist in geriatric, palliative and hospice medicine, she also has 50 nursing home patients. She made the switch to house calls because it was more satisfying professionally and it provided better health care for her patients. Early on, she noticed that patients described their health issues more clearly and completely in their own homes. “When people go to a doctor’s office, the agenda is the doctor’s agenda,” Fernow said. Physicians ask certain questions, check certain things. Blood pressure. Weight. Cholesterol. Often, she said, a patient’s concerns are never addressed fully, if at all. Fernow developed her house-call practice in Connecticut first, when she was spending a lot of time there during her mother’s final years. 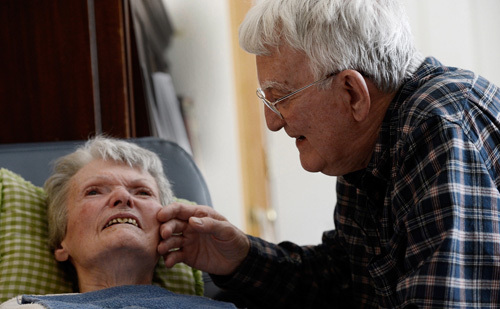 Today it’s much larger than her Maine practice, largely because Connecticut has a denser, wealthier population and greater access to in-home care, so seniors tend to stay home longer before moving into assisted living facilities or nursing homes, Fernow said. Fernow has about 200 patients in her Connecticut practice. She schedules visits there every third week, when she’s able to see about 15 patients per day because they live much closer together. 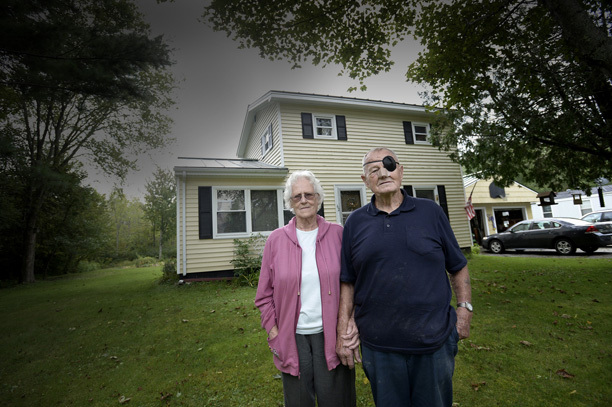 In Maine, she has about 24 house-call patients. Seeing them takes a lot more time and effort. “In Maine, the distances are so far, I’ve found myself driving 150 miles to see three patients in Corinna, Monson and Brownville Junction,” Fernow said. 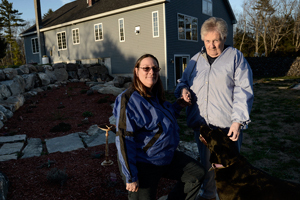 The success of her Connecticut practice has allowed Fernow to keep making house calls in Maine. She’s hopeful because she recently started getting more referrals from doctors in the Dover-Foxcroft area, who see her as the best option for seniors who would benefit from home medical care. 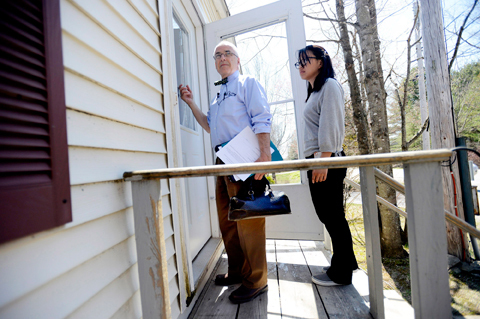 Like Renfrew and Anderson, Fernow believes making house calls is one way doctors can improve access to quality, affordable health care as Maine’s senior population continues to grow. “The gray tsunami that’s coming down the pike is going to cost Mainers more and more if we don’t find creative ways to keep people at home,” Fernow said. 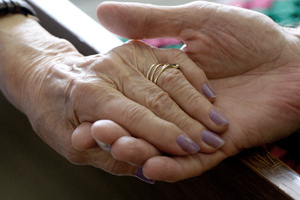 Mental health issues are particularly prevalent among the state’s seniors, and, believing they can overcome it alone, few ever seek treatment.